Viola (population 956) is located in upper western Illinois on Iliniois Route 17 at the intersection of U.S. Route 67. The town sits in the eastern portion of Mercer County. Viola is situated about 20 miles south of the Quad Cities. "The first high school was built on present day Ill. Rt. 17 on the same block as the later high school (NW of the present school) in 1888. A new brick High School was completed in 1924 and still stands; it became Winola H.S. in 1953. The new brick Grade School was completed in 1923 (by the same contractor that built the H.S. the next year), replacing a wooden structure on the S.E. corner of that same city block. This building served the Viola kids until the new present day brick building was built in 1979 on the east edge of Viola. 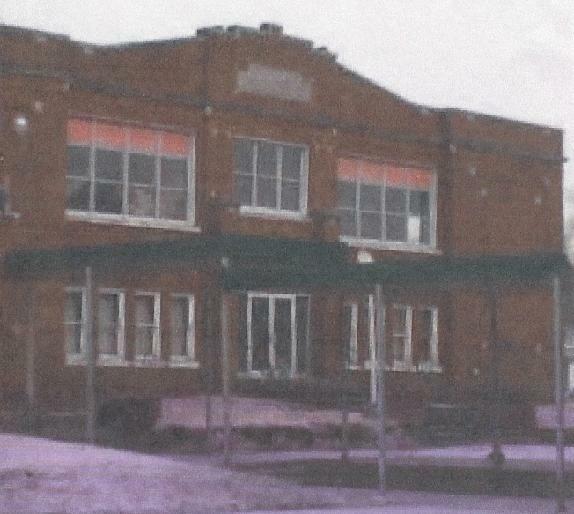 This facility is still known as Winola Grade School, and serves as part of the Sherrard School District . The previous Viola Grade School is being used as an apartment complex today." The communities of Viola and New Windsor took on a consolidation effort between their schools in the early 1952. The new school system was called "Winola" with the high school occupying the Viola High School building. Winola High School existed for many years until a consolidation effort with Sherrard High School became a reality in the 1988. To check out a web site regarding Winola High School please visit http://groups.msn.com/winola . School Fight Song: "On Viola, On Viola"
Sung to the tune of "On Wisconsin"
Viola High School enjoyed many great seasons of success. They brought home two District titles, the second won during their final year existence. Football was offered and it is assumed other sports were offered at the school as well, however research and information is needed from an alum or townsperson from Viola. Several scores from the IHSA postseason tournament were located on a website titled "Illinois Postseason Basketball Scores." Those scores are listed below as well as Viola High School's other basketball successes. **All postseason scores, records, and coaches' names for seasons prior to 1933-34 are needed. 1939-40 through 1941-42 Postseason scores, record, and coaches' names needed. **Last game played by Viola High School. Consolidated with New Windsor High School in 1952 to form Winola High School. "Viola H.S. Lumberjacks track team won the Central Military District championship in 1919. This encompassed all of Illinois from the Illinois River west to the Mississippi River, including many large schools such as Galesburg, Kewanee and Rock Island." In the final year of existance of Viola High School, the Individual Events club was able to send a person to the state tournament. In 1952 Rose Terry placed fifth in "O.D. ", which means Oratorical Declamation. Rich Lawson, football standout in late 1940's ; Leo Crummy, "Hacker" Newton, Wayne 'Wheeler' Anderson and Vic Holdsworth. The 1937 basketball team went on to the Sectional Championship losing to Kewanee by one point, the Frakes boys were exceptional athletes in all sports. "Viola High School was know as the Blue and White. The local papers reported them as ViCoHi. The basketball teams in the late 20's and thru the 1930's were feared by all of the high schools in Mercer County winning most of the games played!"